Life begins in the soil. At Avondale we are acutely aware that healthy balance in our vineyard Eco-system, in our wines and in our own lives is dependent on first achieving healthy balance in our soil. Chemically, biologically and physically the health of soil, water, plants, animals and humans are intricately inter-related. More than a decade ago, when Avondale set out on a quest to make premium quality wines in harmony with Nature, we had to start with restoring balance to over-used soil that had also been abused by years of poor agricultural practices. We had a close ally in Nature, who strives tirelessly to create the balance needed for life to flourish. Still it took time to learn about the community of life in our soil and apply this knowledge in ecologically wise ways. Over the years, we have been guided by the philosophy, and have used the soil balancing system pioneered by environmental scientist Dr William Albrecht, a respected authority on the relationship between soil fertility and ecosystem health. Through re-mineralisation we have returned vital, natural mineral elements to our soil which is enhanced and sustained by the pure quality of the spring water we use for irrigation. This re-mineralisation process works in conjunction with establishing a thriving, diverse plant community that hosts an abundance of soil microbes. Dr William Albrecht was the world’s foremost authority on the impact of soil health on the health of plants, animals and people. He was born in Illinois in 1888, and when he retired he was an emeritus Professor of Soils at the University of Missouri who had contributed hugely through his research, writing and teaching of soil science. Throughout his life, Dr Albrecht looked to Nature as his guide as to what constituted healthy balanced soil. He studied the microbiology of the natural soils of prairies and forests to understand the interplay of minerals, micro-organisms and water; and to discover how natural systems created and maintained ecological balance. What he learnt convinced him that agricultural practices such as tilling and artificial fertilisation resulted in poor quality soils and plants. He was certain would logically result in the poorer health of animals and people. Dr Albrecht advocated mimicking Nature as far as possible to build soil fertility. He devised a system of testing macro and micronutrients in the soil so as sustain a healthy community of life. 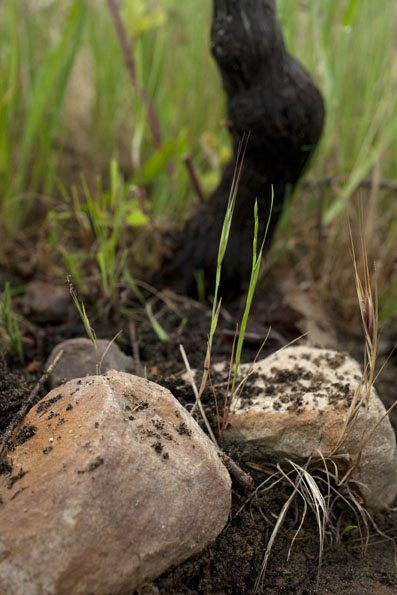 The Albrecht system is one of the ways that Avondale has used to understand our vineyard ecosystem and build the fertility of soils in a natural way so that we make our wines from healthy, balanced grapes.